You are welcome to register for a very unique healer-training using obsidian as a healing tool. Designed for those who have previous healing experience with Reiki, Shamanic, Crystal Healers, and Energy Workers Add the magic of Obsidian to your healing work as you use different methods to incorporate in your healing toolbox. - Obsidian Thumb Wand Massager- A remedy for bone, joints, tendons used also to relax and restore the entire body. -Obsidian Huacha- A technique practiced in Mexico to help cellulite and help smooth out wrinkles and tighten skin. 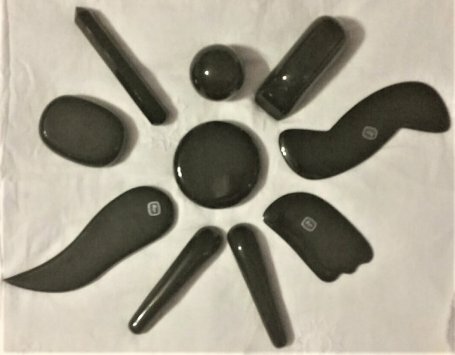 Obsidian Palm/Disk Stones- The laying of these obsidian palm stones are used to relax the muscles, the body and stimulate circulation. If you have questions feel free to email.